Criminal Defense Attorney Thomas Kokonowski The Basics of Negligent Operation of a Motor Vehicle | Law Office of Thomas Kokonowski, Esq. 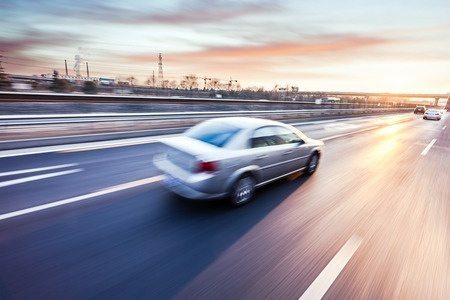 The Basics of Negligent Operation of a Motor Vehicle | Law Office of Thomas Kokonowski, Esq. Posted on : May 29, 2017, By: Tom Kokonowski, Esq. Often, charges of reckless driving are coupled with other types of criminal charges, such as a DUI. However, even on their own, these charges carry significant penalties and must be taken seriously. Here’s what you need to know about “negligent operation of a motor vehicle” charges and how to defend yourself. Speeding is a ticketable offense. If a driver is going 25 mph or more over the posted speed limit, this is negligent and results in a reckless driving charge. If you pass another vehicle on a two-lane highway on a double yellow line, or when there is little to no visibility in the lane of oncoming traffic, this could be negligent. Typically, reckless driving is charged when an accident occurred or a police officer witnessed the behavior. If a police officer signals you to stop, it is against the law to keep driving. Exceptions are made when the driver wishes to pull over in a safe location. However, actually evading the police will result in a reckless driving charge. This is especially true if the driver of the vehicle causes the police to become engaged in a dangerous chase. Most people consider underground, illegal racing when they think of racing as a cause for reckless driving charges. However, a police officer may charge drivers with negligent driving for “racing” at an intersection in normal traffic after a stoplight. If you’ve been charged with the negligent operation of a motor vehicle, it’s important that you gather as much evidence as possible to support your innocence. Can you prove you were attempting to find a safe location when an officer tried to pull you over? Can you prove that the officer didn’t calibrate the radar equipment used to detect your speed? The Law Offices of Thomas Kokonowski, Esq. has the skills and resources to help you understand negligent operation charges. We will mount a viable defense that meets the prosecution head on. Contact us today for a consultation to discuss your case in detail by calling 413-585-9200 or 413-549-0022.